Unique design,disc shape, containing a 59cm magnet flexible neck pick up tool. You can flexibly touch some small gaps that can not be touched. For example if you have a coin fell under furniture, through this product, you can easily retrieve it without having to move the heavy furniture. 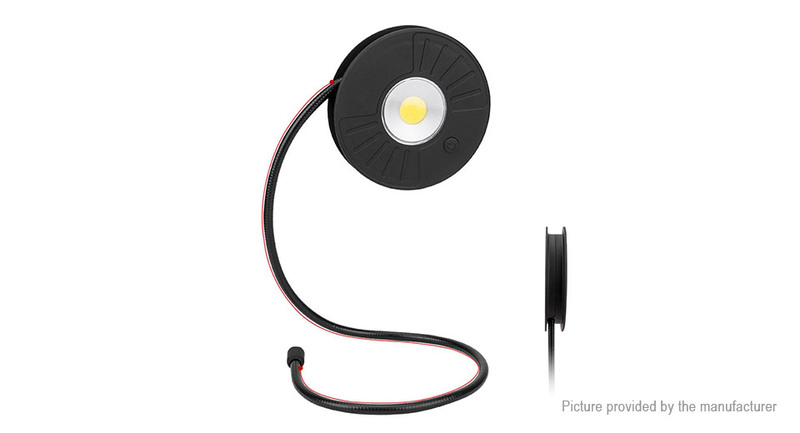 High-quality COB light, Provide strong lighting.High/low/flash/SOS, four modes can be selected. Long press three seconds, open SOS. Strong magnetic base, can stick it to the metallic surface for hands-free operation; Flexible neck also can become a hook or stand,hang it on any place for hands-free operation.